Oatmeal bags look pleasant and decent at the same time. They appear very subtle and sophisticated and provide a very good opportunity for your business to promote your brand by getting the brand name and images imprinted. 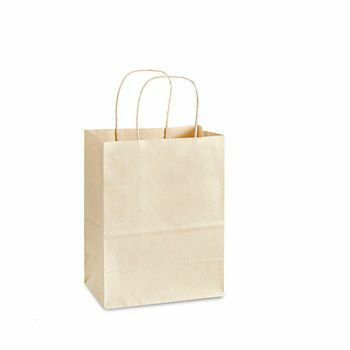 8 x 4.75 x 10.25"
16 x 6 x 12"
Create a signature style for your brand by choosing elegant and pleasant-looking oatmeal bags. The subtle oatmeal color is the perfect background to get your brand name imprinted as it is light, bright and will make the name prominent and evident. 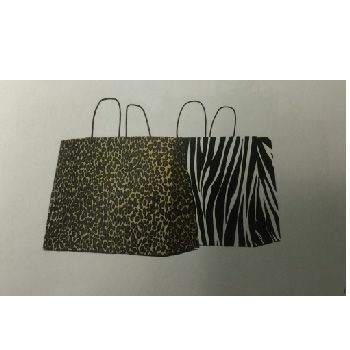 The oatmeal bags do not look boring and also adds class to the overall services. The bags come with matching twisted handles which add to their beauty and overall style.